Xiaomi’s big announcement yesterday was a new Mi TV 3, with size now bumped up to 60-inch, has an 11.6mm thick frame made from aluminum and what Xiaomi calls a flagship TV processor. It supports 4K resolution and has a high color gamut along with MEMC motion compensation. It is a Smart TV and has an external sound bar promising world-class audio. Mi TV 3 will sell for RMB 4999 (785 USD). 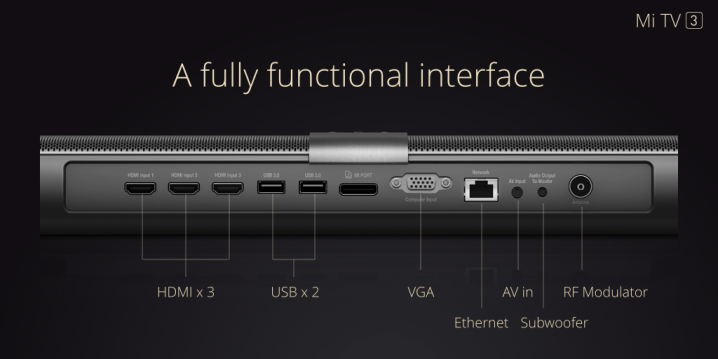 What’s cool about it is that Xiaomi has separated the input ports, processor of the TV into a separate soundbar. THis allows you to upgrade the performance of the TV without the cost of replacing the entire TV. 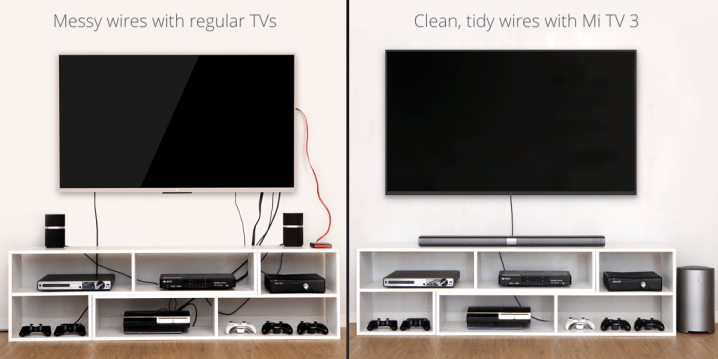 Also, it reduces wire clutter by only requiring a single MiPort cable between the soundbar and TV. The current processor has a Cortex-A17 processor, Mali T760 GPU, and supports 4K 60fps with hardware decoding. It also has 2GB of RAM, 8GB of internal storage, WiFi, and Bluetooth. The mainboard carries a price of RMB999 (157 USD) alone. Xiaomi expects the hardware to be refreshed on an 18 month cycle. There’s good logic to it. The display on the TV can last for a good long period, Xiaomi says 10 years. However, the hardware (smart TV) will be obsolete by then. And, the screen cost is 70%, whereas the motherboard is 20%. So, by splitting the components, you can continue to have the latest generation smart TV system, and Xiaomi earns from recurring revenue. 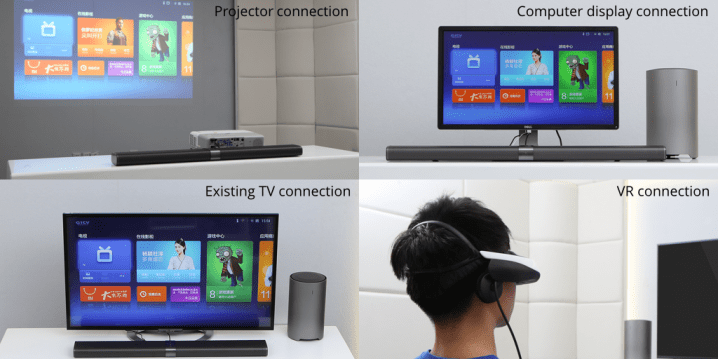 In future, the same soundbar can also be connected to other displays, like projectors or VR headsets. Perhaps future Xiaomi products? The MiTV3 won’t likely be available from the Xiaomi Singapore store anytime soon. However, once units start selling in China, you can look forward to import it yourself through Taobao, or rely on a reseller that operates on the usual Qoo10 / Lazada / Carousell. Previous generation TV range from $1,200 (49″) to $1,600 (55″), and I would expect the MiTV3 to be near the $2,000 region. Will Your Phone Get Android 6.0 Marshmallow?